Virtuoso Digital Language Lab Technology - SANS Inc.
How can the Virtuoso technology benefit me as a language teacher? 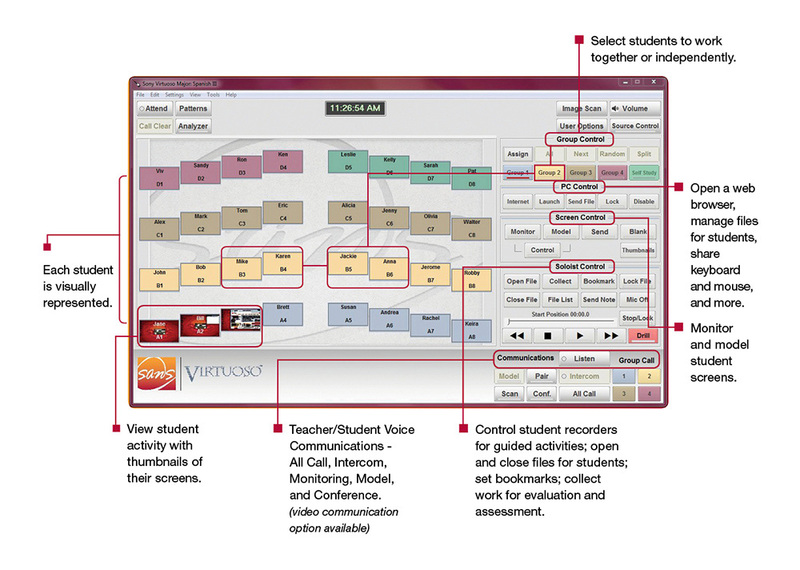 The Virtuoso™ and Soloist® digital language lab software platform provides tools for teachers to effectively communicate with students, manage class flow, and develop and deliver interactive lessons and activities to build student target communication skills in any world language, ASL, or ESL. The Virtuoso suite is scalable, giving you the level and type of functionality that you need today with the ability to modify or enhance your technology as the needs of your language program change or grow. Offered in graduated modules with varying levels of sophistication and functionality, each module is upgradeable to any of the levels above it. Use the Virtuoso technology in a multi-purpose technology lab, a dedicated language lab space, or in a wireless environment. 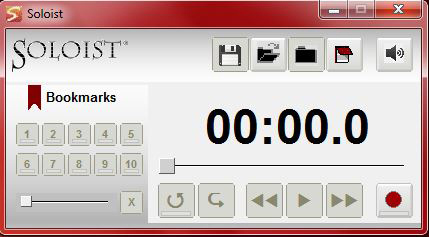 Virtuoso™ Instructional Control Software is the teacher’s interface and control panel. The classroom layout and students are graphically represented. Soloist® Digital Comparative Recorder is the student digital recorder and media player. to develop core language skills – Listening, Speaking, Reading, and Writing. that meaningfully incorporate audio video, pictures, text, and web resources. through guided, web-based explorations to connect, understand, and develop insight into the roots of the language and the people. and keep them focused using screen, audio, and video monitoring tools. for collaborative projects that stimulate thinking and interpersonal communication. activities considering the uniqueness of individual learners. in students for successful exams with listening and speaking components; AP® and IB tests, for example. with digital language lab technology incorporated within a smart curriculum that encourages interactivity and multi-modal learning, and self/peer review. My students love the lab technology. When I pair them up, they work together and focus on their partner and the task at hand. Nothing else distracts them.